Back by popular demand! 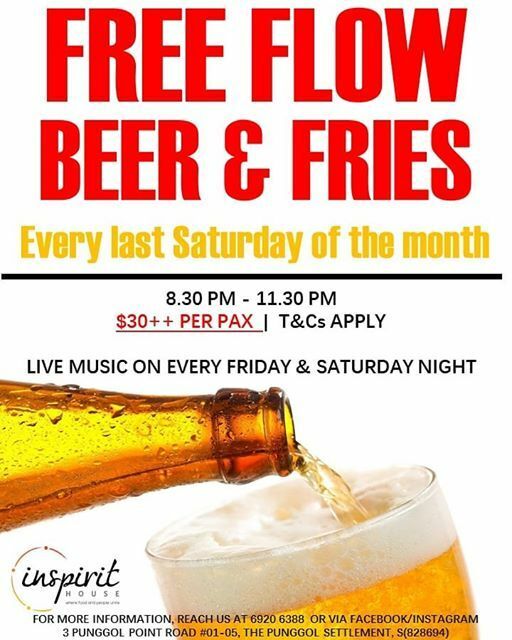 For $30++ per pax, you will get free flow beer with fries and live music!!! 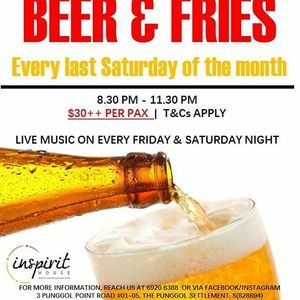 Happening every last Sat of the month from 8.30-11.30pm. Hurry! Leave us a message or click on the ticket link above to make your reservation today. Seats are limited!